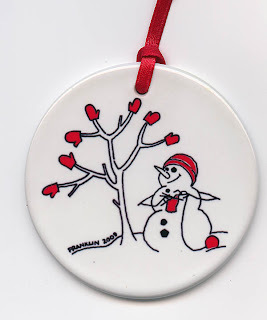 Just bought my first ornament of the year, so the holidays can't be far away. I love Franklin's fiber-oriented ornaments. (see more here) Wanted to make sure I got mine, just in case they sell out. What a fab idea! Thanks for the reminder. I'll have to go order mine a.s.a.p. !